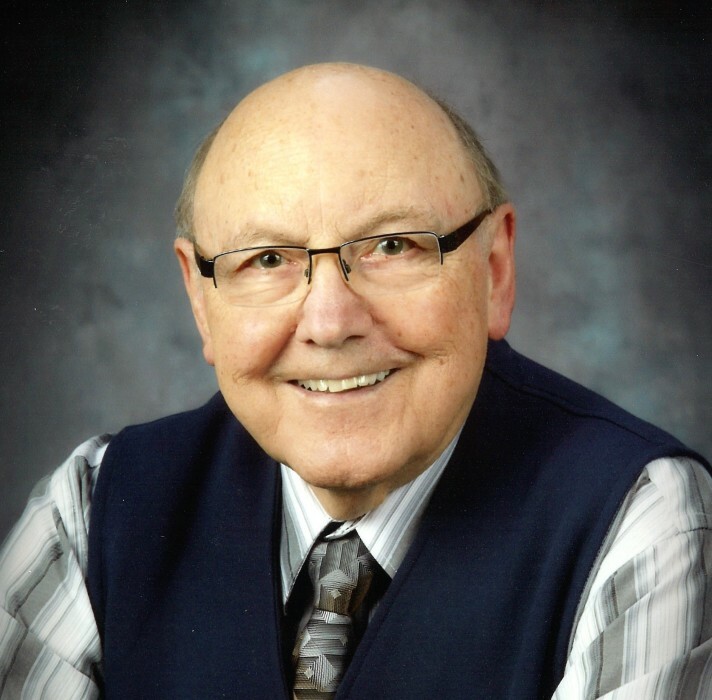 Harvey Reinard Ramstead passed away in Calgary on February 1, 2019, after a month long illness at the age of 82 years. Harvey was born in Archerwill, Saskatchewan on June 30, 1936 as the 9th of 11 children. With ROTP sponsorship, he graduated from the University of Saskatchewan in Engineering Physics and then married his love, Sylvia Yacyshyn, in Moose Jaw, Saskatchewan. They then moved to Mont Apica, Quebec to start his career as an Officer in the Air Force. Harvey and Sylvia moved to Western Canada where Harvey gained his Masters in Chemical Engineering from the University of Alberta. Eventually they settled in Calgary which became home. Harvey had a passion for expanding his knowledge through reading and he had a serious love of computers. A favourite pass-time was playing bridge and competing with his grandchildren in cribbage. Many will remember Harvey and Sylvia’s generosity in taking in family and friends for extended periods over the years, and be grateful to Harvey for providing financial guidance. He is survived by Sylvia, his wife of 57 years; his children, Kelly (Karen), Mark (Karen), and Brian (Nadine); and six grandchildren, Lyndsay, Jennifer, Andrew, Cooper, Corrine and Wilson. In his last days, Harvey was surrounded by the family, sharing wonderful stories, toe tapping music, a ton of love and a good amount of laughter. He will be missed by so many. A Service of Celebration and Thanksgiving for his Life will be celebrated at Canyon Meadows Golf and Country Club (12501 14 Street SW) on April 20, 2019 at 2:00 pm.